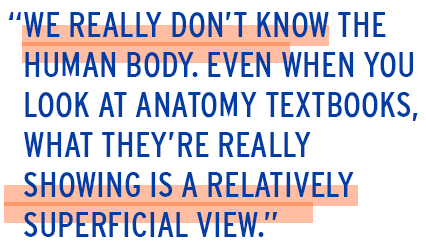 “Even when you look at anatomy textbooks, what they’re really showing is a relatively superficial view,” he adds. Mogk believes it’s time to go beyond the superficial — by graphically depicting, in minute detail, every part of the body, which is why he has spearheaded the project through Autodesk, one of the world’s largest software design firms. But despite backing by both corporate and academic partners, intense effort is required. Mr. Mogk points to work under way at the University of Toronto, where Prof. Anne Agur of the department of surgery is digitizing muscle fibres, section by section, throughout the body with a miniature robotic arm. “Through the digitization process that she pioneered, she’s discovering that we had no idea just how complex some of these structures are,” says Mr. Mogk. The project’s overarching goal, he adds, is to create a central repository and platform where researchers can share their data — a Wikipedia, of sorts, for all things related to the human body. But the potential applications are no less exciting: the 3D model can be used to develop targeted therapies, to map complex surgeries and to create simulation-based training for healthcare professionals. 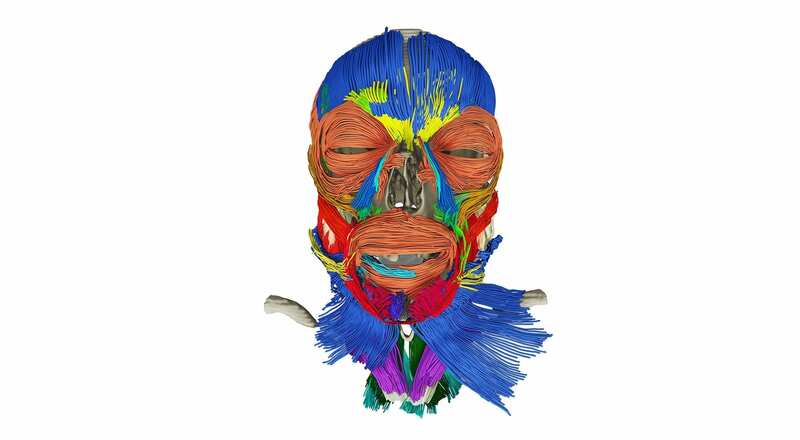 “By creating this model, we are building something that can be used as a reference or map of the human body, complete with all the possible variations so that, for example, surgeons know what to expect when they’re going into a particular bone or joint,” says Mr. Mogk.